Relaxed and elegant. The Valhalla Corner Chair is carefully constructed over solid hardwood frames for durability, while plush cushions cater to comfort and offer firm support. Crafted from quality materials built to last, this distinctive piece in your family or entertaining space will add luxury, style, and sophistication to any living room setting. Constructed from natural solid hardwoods. Finished in deep Charcoal. 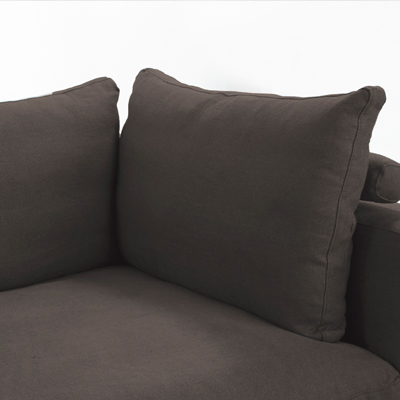 Cushions easily regain shape and composition with a simple fluff. Seating frames constructed from natural solid hardwoods, built to last. 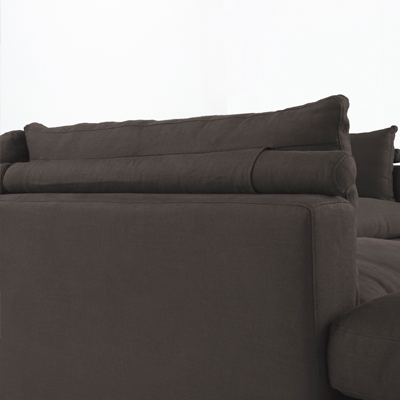 Multi layered cushion structure includes layered high density foam base with Dacron sub surface layers. 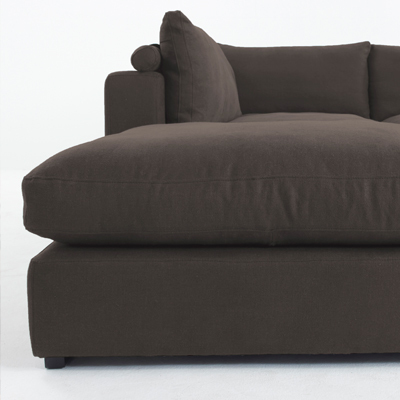 Finished in natural beige, 100% fine Belgium linen with a mocha finish. 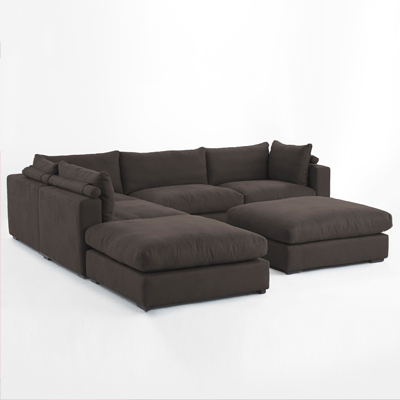 Comes fully assembled to let you relax when it arrives.